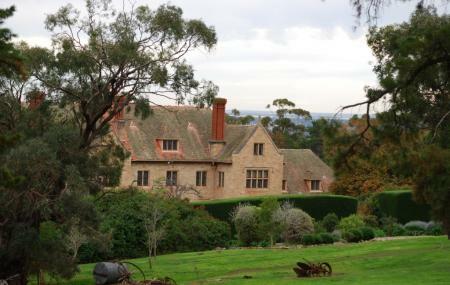 This well preserved historic house and its surrounding grounds are worth visiting for all who want a glimpse into the lives of the wealthy Australians in the mid-twentieth century. The former home of Sir Edward "Bill" Hayward and his wife Lady Ursula, the house has an interesting and vast collection of paintings, furniture, antiques and sculptures. This English style house built in 1938 also has sprawling Edwardian styled grounds. A must do for kids is the Children’s Storybook Trail on the grounds of the house which has landscaped gardens depicting scenes from several popular children’s stories. Carrick hill also often houses exhibitions of modern artists. Exhibition rooms are located on the first floor and access is via a staircase which makes it inaccessible to those with mobility issues. Concession - $8 AUD, Family - $28 AUD. Guided tours of the House at 11.30 am and 02.30 pm. How popular is Carrick Hill? People normally club together Cleland Wildlife Park and Rundle Mall while planning their visit to Carrick Hill. This house is magnificent. I really loved the gardens and the tranquility of sitting having coffee and cake whilst looking at the skyline of Adelaide. I would recommend visiting, especially if you love flowers and grand old houses. This was one place I really enjoyed in Adelaide. Wonderful place for a picnic lunch. Also for families and children plenty of space. May Gibbs trail is great for the Children. A beautiful Manor open to the public. For a small fee you can look inside the Carrick Hill Manor. Its a great place to have a lazy romatic picnic within the garden surrounds. Or bring the kids and let them explore the gardens. Love love love this house. What a view! We visited twice in a week as we didn’t get to walk the garden due to strong wind. Glad we came back for the 2nd time for the book trail. Spent a wonderful morning here. Beautiful house and gardens with a 1st class art collection.A good cafe and even bush walks if you have any energy left.